August | 2014 | Sonic Smash-Music! The songwriter, music producer and performer of hip hop known as JLoyal has released his latest EP record, “Trappin’ in My Didas.” The EP is composed of three original tracks and a second mix of the album’s title track, “Trappin’ in My Didas,” edited specifically for play on public radio stations around the world. It has an approximate total listening time of 15 minutes, and has been proudly published on the RoadRunnaRecords independent music label entirely without support from the corporate music industry. Raw, rough, and packed with the legitimate, unmistakable style of rap and hip hop from the American south, “Trappin’ in My Didas” by JLoyal is a surprise powerhouse coming late in the summer of 2014. The various tracks included on JLoyal’s new EP, “Trappin’ in My Didas,” “Gas,” and “Wake Up,” show different facets of the artist’s creativity and vocal delivery, as well as showcasing a range of talents on the studio production side of RoadRunnaRecords. The wide spread of skills offered in this single EP record hint that much more material from RRR is forthcoming. The label, which was founded 1 March 2014, speaks in few words on its official Soundcloud and Facebook pages. His journey as a musician hasn’t been easy, but it seems the artist and the label have finally arrived. 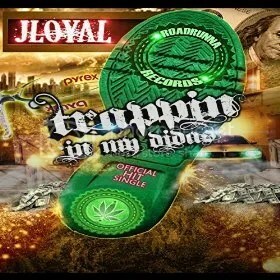 “Trappin’ in My Didas” by JLoyal is available online worldwide beginning 29 August 2014. 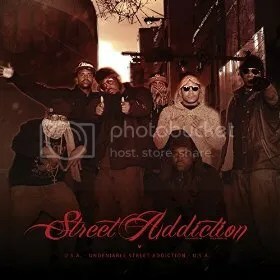 The performers of hip hop known as the Street Addiction Muzik Group have released their latest LP record, “U.S.A.,” which acronym stands for “Undeniable Street Addiction.” The long-playing album comprises 18 original tracks for an approximate total listening time of an hour and 15 minutes. This superlative length brings Street Addiction’s new record closer to the average length of a double LP than to that of a typical long-playing album, which usually clocks in at 40-42 minutes. As might be inferred by the name of the artist, “U.S.A.” has been published on the Street Addiction Muzik Group independent record label. Aggressive, straight-up, and directly from the urban poets of America’s inner cities, “U.S.A.” is a milestone of hip-hop music for the new millennium. 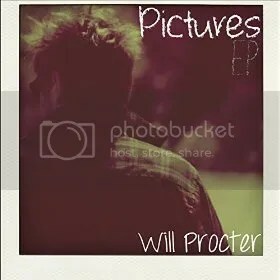 The singer and songwriter known as Will Procter has released his anxiously awaited debut EP record, “Pictures.” The extended-play record includes five original acoustic tracks for an approximate total listening time of 17 minutes. It has been proudly released on the Thumbmuffin Records independent music label. Soulful, heartfelt, and performed with a natural warmth that is difficult to find and impossible to reproduce, “Pictures” by Will Procter is a collection of anthems from one of today’s most genuine music artists. Listed online variously as pop and adult contemporary music, Procter cites as main artistic influences Oasis, Mumford and Sons, the Smiths, Bob Dylan, the Beatles, and Bon Iver. His own sound takes attributes from each of these and synthesizes them into a mood and timbre that is all his own. More roll than rock, and possessing an inborn power in every sonorous vocal line, Will Procter’s “Pictures” is a record that promises much more to come from this up-and-coming performer. The rock and roll crew from Los Angeles known as Wirewalker have released their latest official EP, “Jaw Wired Shut.” The EP is composed of four original, previously unreleased tracks, “Shakedown,” “The Wise Child,” “Smithereens,” and the title track which opens the album, “Jaw Wired Shut.” Wirewalker’s “Jaw Wired Shut” EP has been published on the independent Sanctum Records music label. Endlessly stylish, driving and with measured amounts of verve and aggression, “Jaw Wired Shut” is an album that proves these scions of the Los Angeles alt-rock scene are more than worth the price of admission. 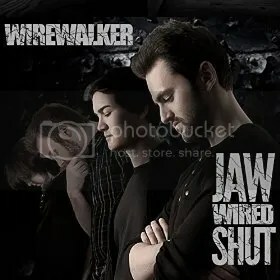 “Jaw Wired Shut” features stunningly effective keyboard accompaniment paired with subtly powerful bass lines, as well as guitar licks and vocal leads that ring out naturally, unpretentious and raw. Wirewalker’s concrete-solid drums are both energetic and unassuming, the combination of which paints the entirety of the Wirewalker sound in vibrant, electrified tones and grows toward the foreground from track to track. 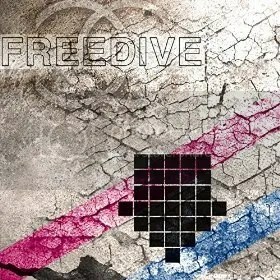 The composers of digital music known as Cookie Cartel have released their official debut single, “Free Dive.” The single has been bundled with three remixes of the definitive edition, including an extended play version, an extended dance version, and a version edited for play on public radio stations around the world. The single features vocals by acclaimed singer Stef Lang, whose popular LP record, “The Underdog” appeared in May of 2010. An irrefutably infectious digital pop song with elements of chillout, dubstep and house music, “Free Dive” by Cookie Cartel is a single which highlights the many qualities of this undeniable duo based in Vancouver, British Columbia. Cookie Cartel cite as main artistic influences such heroes of the digital scene as Zedd, BT, ATB, and Disclosure. As might be expected, their own sound mirrors many of the best qualities of the artists on this list, yet their overall style has its basis in their own music histories. Cookie Cartel is the stage name of Mary Ancheta and Dan Kearley, who write and produce songs under the name Cookie Cartel which feature various guest vocalists on their tracks. They have been collaborating since 2013, when they began sending sound files to and from one another between Vancouver and the Maldives at that time. They have said that their new single, “Free Dive,” was first inspired by a trip to the Maldive Islands. Keyboardist and lyricist Mary Ancheta was first part of the popular and jazzy electronica group, Transientworld, who placed as finalists for two consecutive years in the John Lennon Songwriting Competition for electronic music. Ancheta has licensed over 50 film and television placements for her music. Multi-instrumentalist Dan Kearly is best known for his role in Sekoya, the sound of which the Victoria Jazz Society describes as an “iconoclastic blend of jazz, house, soul, spoken word, hip-hop, and bebop with a fresh touch of funk!” The Society goes on to note that “Sekoya’s debut album garnered rave reviews from Miami to London, resulting in a Canadian Juno nomination for Best Contemporary Jazz Artist.” Kearley has composed beats for heavy metal bands Strapping Young Lad and Lamb of God, and has completed remixes for BT. The remixes of “Free Dive” have been orchestrated by DJ Hoàng Anh (Vietnam Producer), DJ Hunt (Producer, DJ on Queen Latifah Show), and Roy Mitchell-Cárdenas (Producer, Mute Math Bassist). “Free Dive” by Cookie Cartel is available online worldwide beginning August 23, 2014. The independent music label known as Black Circle Records has released their latest compilation LP, “Eye of the Storm.” The record is composed of 12 original tracks for an approximate total listening time of 40 minutes, and is the first volume of a planned series of such records from the Black Circle label, first founded in 2012. 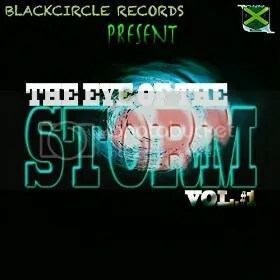 The LP compilation features performances, lines and rhymes by such singers and rappers as Raseek, Apoc, Bone, Chunky, Nova, and Jah D. A widely varied selection of reggae and Caribbean rap tracks full of groove, soul and spirit, “Eye of the Storm” is a definitive statement that Black Circle Records is here to stay. For listeners with an ear for more than straight-up beats and groovy instrumentation, “Eye of the Storm” offers lyrical content far beyond the stereotypical fodder of popular public radio. Themes on the record stretch from powerful personal experiences to the continuing battle against racism and prejudice, and from the simply romantic to the more spiritually Rastafarian. Fans of reggae and rap music alike are likely to be enthusiastic about “Eye of the Storm,” the first volume in an ongoing series from Black Circle Records. “Eye of the Storm” from Black Circle Records is available online worldwide beginning August 23, 2014. The Connecticut rock quartet known as the Ultra Violets have released their latest EP record, “All the Noise in Your Head.” The EP is composed of six original tracks for an approximate total listening time of 23 minutes. It has been published as an independent release without support from the corporate music infrastructure. Stylish, raw, and refreshingly unique at a time when rock ‘n’ roll perhaps needs something new more than ever, “All the Noise in Your Head” is a fresh tone from the state which brought Rivers Cuomo, Keith Richards and John Mayer to global acclaim. The Ultra Violets have been playing together in various incarnations for a little more than two years. 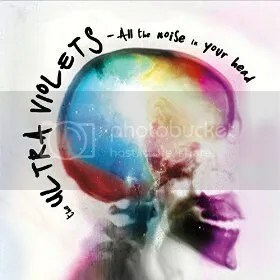 Music fans around the world can be part of this wider audience beginning August 23, 2014, when “All the Noise in Your Head” by the Ultra Violets becomes available globally online.